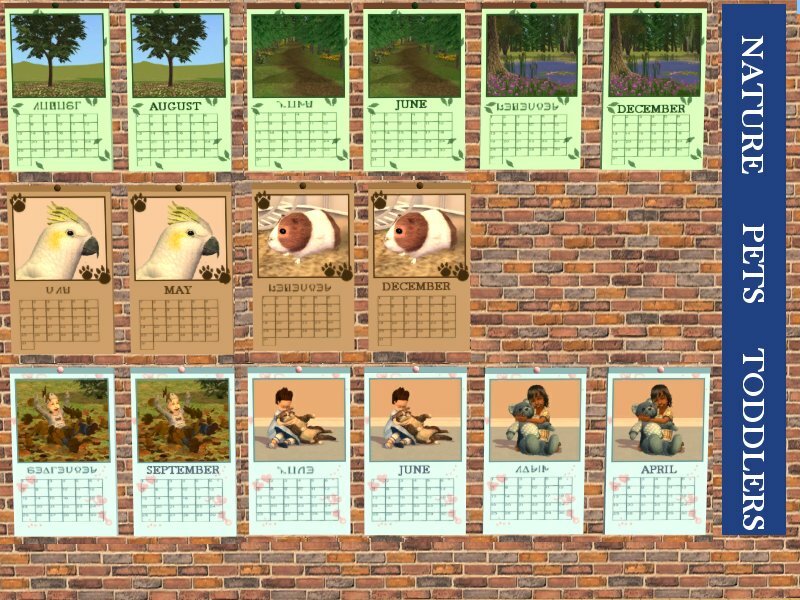 Pru from N99 plays her game in English, and was really wanting these calendars converted from Simlish to English. Which I was happy to do. I also did some extra recolours without any language so that no matter what the game, you can use them. 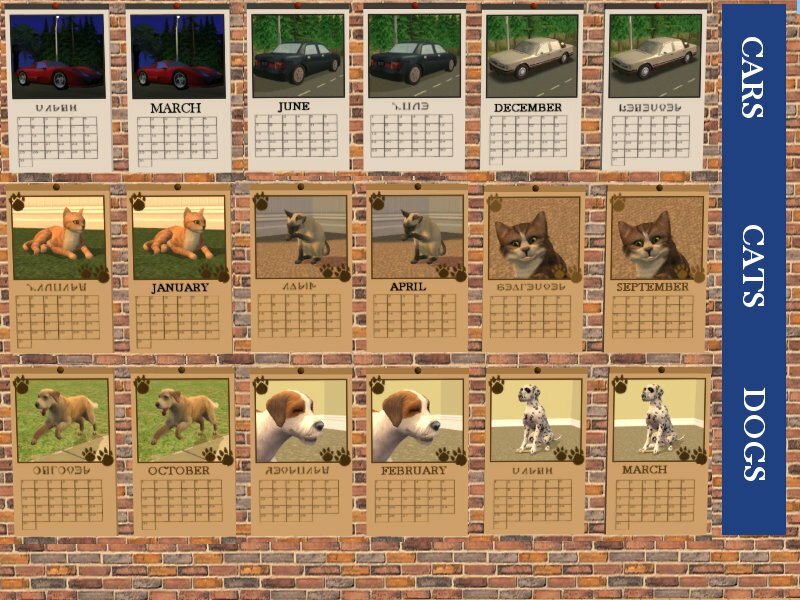 It's a nice looking calendar - and the original simlish recolours are excellent. The second picture is an Echidna. You will need to download the mesh made by Sim People and Me. Then download the recolours as you choose. I've included their original Simlish recolours as well just in case you'd like them. Simpeople and Me - for mesh and original Simlish recolours. Pru - for requesting these and for the August Goodies event. Thank you, Kiri! Love finding recolors of meshes I already have installed.